It is believed by many that only teams with major sponsors that are affiliated with Monster Energy NASCAR Cup Series teams and drivers can succeed in the sport’s two lower divisions. 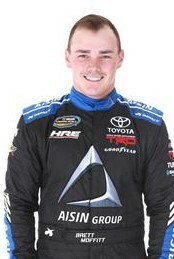 However, independent Hattori Racing Enterprises with driver Brett Moffitt have gone a long way toward proving that theory wrong throughout the entirety of the 2018 season and during the playoff rounds in the Camping World Truck Series. Over the course of the season Moffitt has scored five wins along with 12 top-5 results. And more, the No. 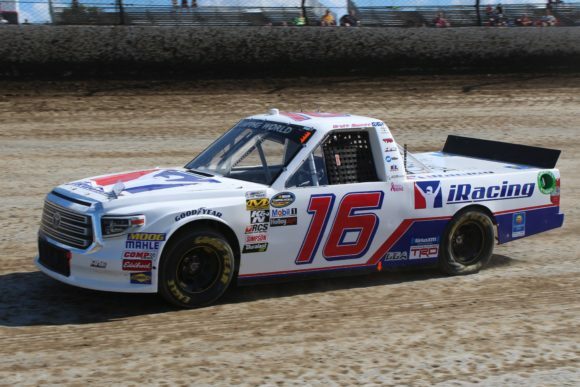 16 team roars into the ‘Championship 4’ race at Homestead-Miami Speedway on a hot streak after earning a second place finish at Martinsville followed by a third at Texas and then a win highlighted by a late race pass at Phoenix’s ISM Raceway this past weekend. But perhaps the most impressive thing about the efforts of the Hattori team this season has been the fact that this organization has operated on such a tight budget that there were times when they were not even sure they would make it to the next race. Moffitt, however, is confident going into the championship deciding event in south Florida despite the financial struggles his team has had to overcome throughout the campaign. Following his win in Phoenix the driver was asked in the post-race press conference if he thinks of himself as the favorite to claim the title. Much of that confidence springs from the recent performance of the Shigeaki Hattori-owned team following a slow start in the playoffs. Now that he no longer has to worry about locking himself into the final playoff race, Moffitt believes he and his team can simply go out and do what they have done five times already in 2018. The Iowa native has scored two wins this year on 1.5-mile tracks(Atlanta & Chicago) which would seem to indicate that the No. 16 will be among those running near the front on Friday night. Homestead-Miami also measures that same distance. Johnny Sauter, Justin Haley, Noah Gragson, and Brett Moffitt will enter the Ford EcoBoost 200 with a shot at winning the NASCAR Camping World Truck Series championship. But the fact that Brett Moffitt and his Scott Zipadelli-led crew have achieved enough to get to this point is one of the more remarkable stories in the sport this year.